1. Tap the Front icon. 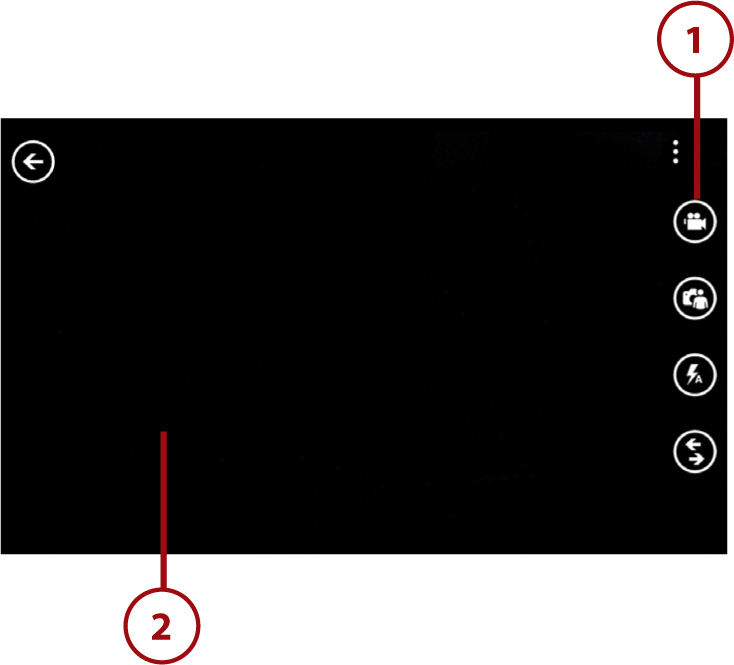 The Front icon toggles between the front camera and the rear camera. 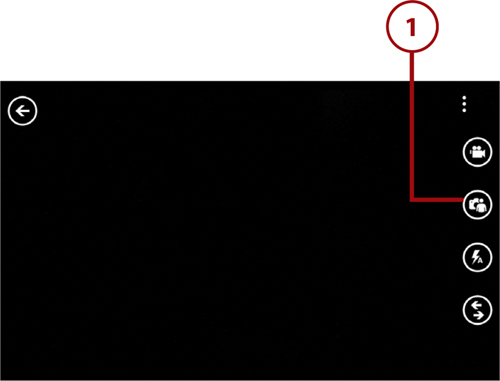 Most of the features that are available for the rear camera are also available for the front camera, but with one notable exception: The front camera has no flash. 1. Tap the Video icon. The video icon toggles between video mode and still photography mode. 2. Aim the camera and tap the screen (or press the phone’s Camera button) to begin recording. 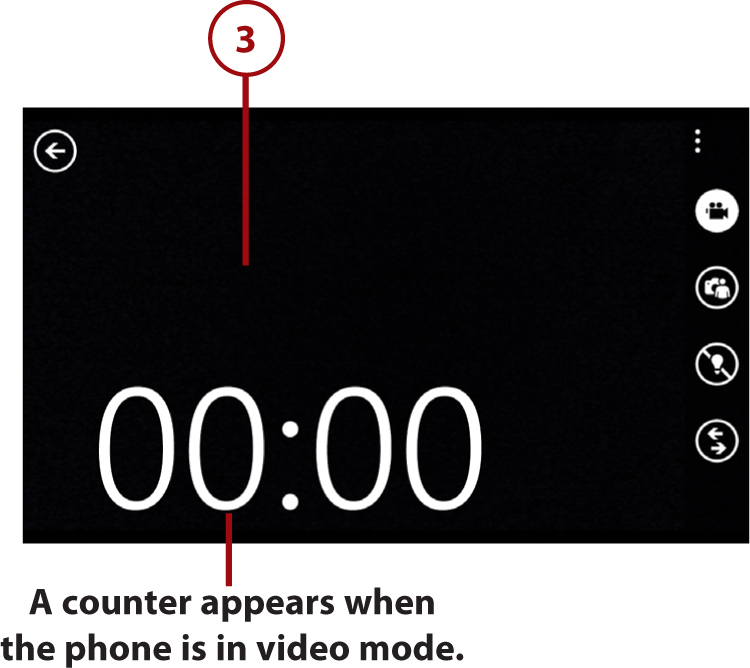 A counter appears on the screen to let you know how long you have been recording. 3. Tap the screen (or press the Camera button) a second time to stop recording.